Thank you for stopping by! Join our e-newsletter and download our app to stay tuned for the next update. In the meantime, shop our Plucky Reserve! 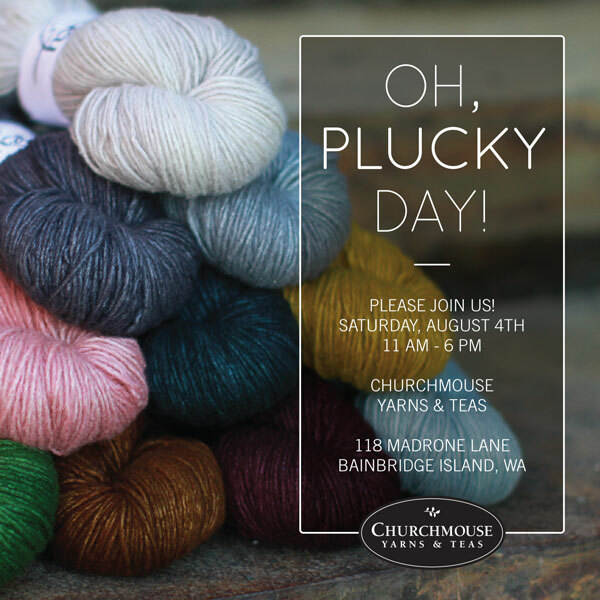 We are so excited to visit our friends at Churchmouse for a Plucky Day and we’d love to see you there! Please join us, Saturday, August 4th from 11AM – 6PM at Churchmouse Yarns & Teas. Come visit and knit with Hayley and I, check out our selection of yarns curated especially for Churchmouse and maybe go home with a few! We love it when we can visit Chruchmouse and hope to see you there! Apple Users GET IT here. Android Users GET IT here. You say Goodbye. I say Hello! Instagram has returned invalid data. Follow Plucky on Instagram! © 2014-2018 Plucky Knitter, Inc. All Rights Reserved. Please see our FAQ, Guidelines, and Terms and Conditions for complete details. Mannequin Monday – Beehive July #dailyplucky Winners!